When we attended Knowledge14 in San Francisco earlier this week, one thing we noticed is how amazingly far organizations have gotten in adopting IT Service Management (ITSM). But while it does seem organizations have caught onto the fact that moving towards ITSM provides a lot of value, many have still not yet adopted or placed enough emphasis on the ITIL practices of Service Strategy and Service Design. This is a huge mistake, as ITIL offers valuable guidelines to service providers on the best ways to design and maintain services for the business. 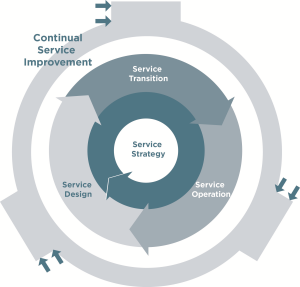 Once a SDP is completed, it is passed from Service Design to the Service Transition phase to provide all information required to develop the service solution, including a preliminary (i.e., intended) time-schedule for the Service Transition phase. Service Transition, Operation, and Continuous Improvement provide input to the requirements in the SDP, ensuring services get better as time goes on. This section includes the agreed and documented business requirements, such as the problem statement, vision, and business objectives. The requirements also include service contacts, such as the business stakeholders and customer representatives. These are the high-level details with which the rest of the SDP must align; you want to make sure to deliver the right service to the right group of people. Service Design refers to the functional requirements describing the new or changed service and the Service Level Requirements (SLRs), including service and quality targets. Also, this section includes the operational management requirements for the new or changed service (e.g., supporting services and agreements, control, measuring and reporting). Lastly, this section should document the plan for the service’s transition, implementation, and operation. The Service Design section is very heavy in detail. In addition to the requirements for all service components and infrastructure, don’t forget supporting processes and procedures, as well as measurements, metrics, and reports. The information in this section will make up the plan to assess benefit, financial, technical, and resource aspects, and needs to include a description of the new skills, competencies, and capabilities required to transition and implement the new or changed service. There are not many tools on the market that enable ITIL’s Service Strategy and Service Design. Enfocus Solutions provides software and services to IT service providers and managers looking to adopt ITIL best practices. Our software and services are designed to ensure services deliver value to the business by providing the capabilities to create a complete Service Design Package.